Silvered bronze antoninianus, 21mm, 3.37gm, issued AD 266/267. Rome mint. 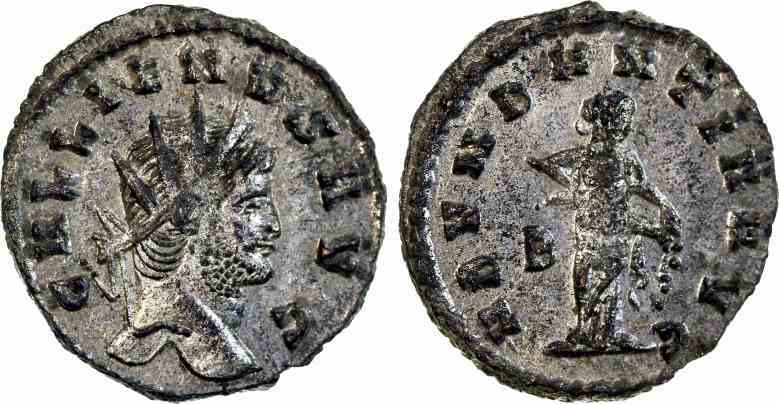 Obv: GALLIENVS AVG, Radiate head facing right. Rev: ABVNDANTIA AVG, Abundantia standing emptying cornucopiae, B in left field. References: Sear 10164, RIC 157, RSC 5-6.